Wasps and bees can put us in a bit of a panic. But some people have more reason than most to be anxious because, for them, a sting can cause a dramatic – and potentially life threatening – allergic reaction. It’s called anaphylaxis and it’s when your body’s immune system overreacts. It can be quite frightening. The triggers include foods such as peanuts, wasp and bee venom and even some drugs, like penicillin. The most deadly, however, are wasp and bee stings. In the UK they caused more than 70 per cent of all deaths from anaphylaxis outside of a medical setting between 1992 and 20011. That’s more than the fatalities caused by food allergies. In fact, up to 3% of the people in the UK are at risk of an allergy and a small minority of those may be at risk of anaphylaxis. But they may not even know it. That’s why we’re campaigning to highlight the issue and the steps that people at risk can take to stay safe. Perhaps you, or someone you know, has had a severe reaction to a wasp or bee sting? Or maybe you’re anxious after experiencing moderate symptoms from being stung? If that’s the case, you can still enjoy the great outdoors – whether at work or play – thanks to a choice of treatment options. These range from sting avoidance strategies all the way to specialist treatments available at hospital based allergy clinics. Just speak to your GP to find out more. So next time you bump into a wasp or bee – there’s no need to panic. In the UK there are several species of stinging wasp and hornet although only one species of bee, the honey bee, commonly stings. Wasps and bees are the most likely to sting; despite their size, hornet stings are rare and bumble bees hardly ever sting. Some people have a sensitivity that means a sting by a wasp or a bee could trigger a full allergy to the specific venom of that species. It’s the particular proteins within the venom that are to blame. You may not have an allergic reaction the first time you’re stung by a wasp or bee but there is a small risk that subsequent stings could lead to a serious allergic reaction called anaphylaxis. If you’re concerned you might be allergic to wasp or bee venom, there are a number of options. Reducing the chances of wasps and bees bothering you reduces the chances of being stung. Try to avoid the things that attract them such as sugary food and drink, bright clothing and some perfumes. And if they come too close for comfort – don’t flap! For people with a known allergy, auto-injector pens are a possible solution. They can be kept on hand so that in the event of a sting, the victim can quickly inject themselves with adrenaline to stop the reaction, as well as immediately calling for an ambulance. Explain to your doctor why you are worried and any symptoms you may have experienced as a result of a wasp or bee sting. They will be able to offer advice and, if appropriate, refer you to an allergy clinic for tests and specialist treatments. The NHS also offer other long-term treatment options that are available from specialist allergy clinics. Speak to your GP to find out more. First, you speak to your GP. If they think that you have had an anaphylactic reaction or are at risk of having one they will refer you to an allergy clinic. Should you have experienced a systemic allergic reaction the allergy clinic may perform a skin-prick test or a blood test to discover what kind of venom you are allergic to: wasp, bee or both? Each wasp species has its own venom so it’s important to find out which of those it is, or whether it’s bee venom that is the problem. It is possible to be allergic to both, though most people only react to one. If you are assessed as suitable for specialist treatments, you will start with a tiny injection of the right purified venom. Regular increases in dose are given until your body has become immune to its effect. The injections are by specialist medical professionals at one of the dedicated units around the UK. It can take three to five years to complete a course so you will need to be patient! Find your local allergy clinic. There are alternative treatments which, rather than treat the cause of anaphylactic shock, help to tackle the symptoms instead. One of best known examples is the adrenaline auto-injector pen (AAI). Adrenaline is injected into the thigh as the first line treatment of symptoms of an anaphylactic reaction, whilst awaiting medical assistance from 999 ambulance paramedics. Adrenaline maintains blood pressure and oxygen levels, while easing inflammation and other problems. However, to be effective an emergency kit has to be used quickly, correctly and safely. The treatment isn’t guaranteed, so an ambulance must always be called after using an adrenaline auto-injector pen. How much do you know about wasps, bees and venom allergies? Check out our fact-file to test your knowledge. Marian, a former teacher, is one of the estimated 1 per cent of adults in the UK who are allergic to wasp and bee venom. But when she was stung while working in the garden of her home in Kendal, Cumbria, in late September 2014, she initially thought little of it. She had no idea she was allergic. “It was a sunny late September afternoon when my life suddenly changed,” she explained. 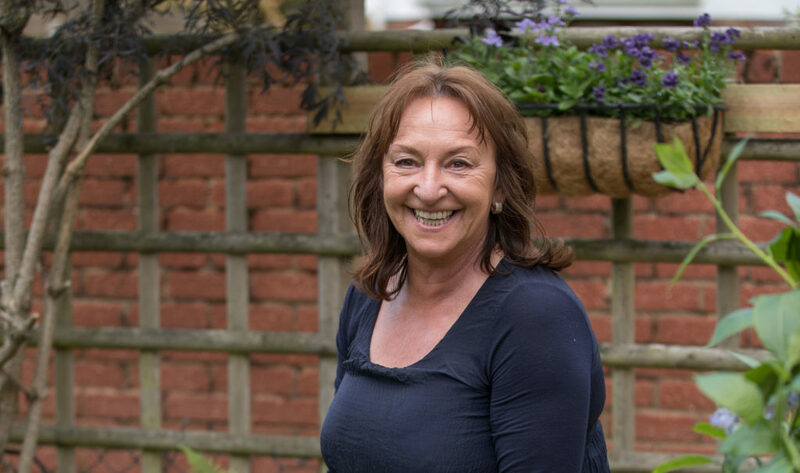 “I was stung but I still had a lot of gardening to do, so within a minute or two when I quickly experienced dramatic changes to my body. Ominously she was instructed by the operator to open the front door and lie down ready for the ambulance. The situation was worsening fast: her throat swelled up, constraining her breathing, and a red rash covered her body which also swelled, including her face where her eyes were almost squeezed shut. Everything, including the terrifying sense of doom that began to wash over Marian as she lay on the floor, was signaling a classic case of wasp venom anaphylaxis – the potentially fatal overreaction by the body to the sting. Marian was rescued by the arrival of the paramedics who swiftly spotted the medical signs and injected her with adrenaline and steroids to fight the reaction and save her life. She was taken to hospital where her condition was judged serious enough to keep her in overnight for observation. She was only allowed home at lunchtime – nearly 24 hours after the wasp stung her in the garden. The episode was over but Marian is still dealing with the ongoing effects of her allergy. It was likely to have been primed 12 years ago by the last sting she suffered; setting up her body to react violently to the particular proteins contained in the venom. One of the immediate consequences was to put a cloud over Marian’s planned trip to Nigeria to volunteer with a charity for three months. Would she be able to go knowing that a simple sting could put her in another life-threatening situation without the NHS to call on? The auto-injector pen, an emergency injector containing adrenaline to fight the effects of anaphylaxis, is now a constant companion to Marian, who has taught her friends and family how to use it. Other consequences Marian describes include travel insurance for worldwide cover rocketing up from £56 a year to quotes as high as £892. 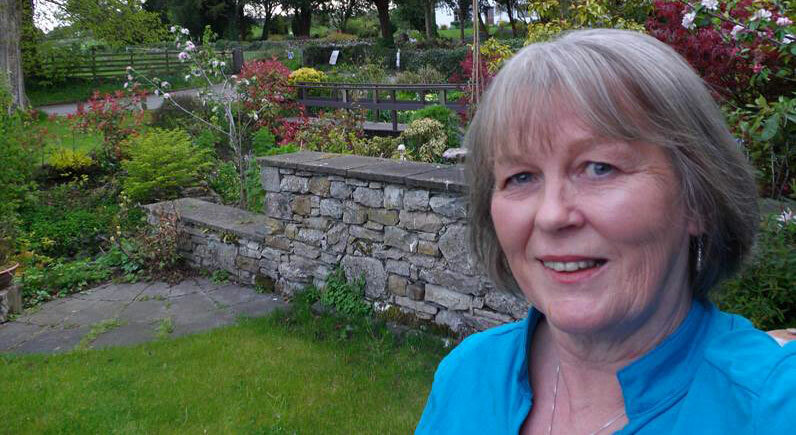 Marian, who joined the Anaphylaxis Campaign supporting people with severe allergies like hers, admits: “For the first few months after the sting I worried all the time about being stung. But time has settled those fears and I am now confident that if it ever happens my auto-injector pens and the NHS will save me. To raise awareness of venom anaphylaxis, ALK – a pharmaceutical company which supplies some of the products used in the treatment of venom allergy – has launched the Bee Resistant campaign. For most beekeepers, the thought of getting a serious allergic reaction to a bee sting is far from the focus of their attention. Experienced beekeepers will tell you that honey bees are generally docile and seldom sting unless provoked. 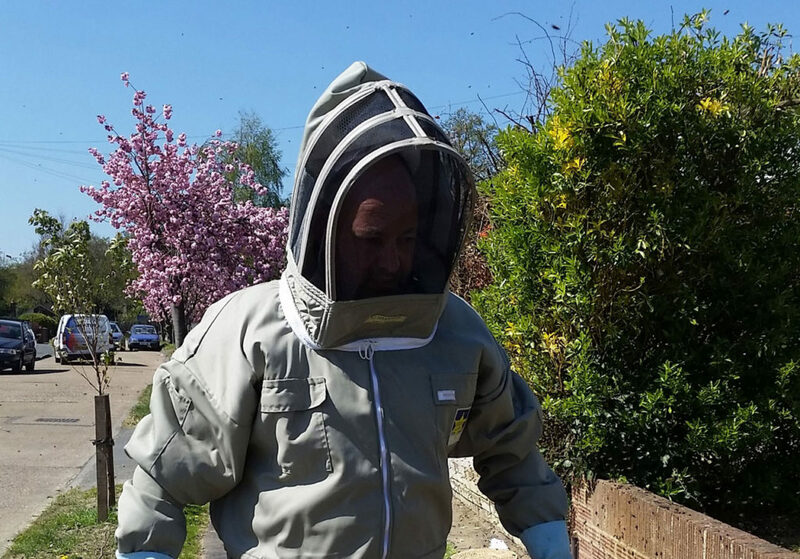 But for keen beekeeper, David Parker, a spate of bee stings left his wife dialing 999 after his second anaphylactic reaction. “I started beekeeping in the summer of 2013. All was going well and I had set up two honey bee colonies in my garden,” said David, who runs a financial consultancy service and lives in Woking, Surrey with his wife. “That’s it, give up beekeeping”, said David’s wife once the ambulance had left. Despite calls for him to retire, David was determined not to let the experience of anaphylaxis ruin his passion for beekeeping and started investigating treatment options. Upto 3% of the UK population is at risk of a sting that can provoke an allergic reaction and a small minority of these people will go on to develop the potentially fatal allergic symptoms of anaphylaxis¹, but like David, most are unaware they are at risk. “What’s concerning is that even my local GP, in a large practice was unaware that treatment for people like me is a possibility and is so effective it is even NICE approved. “I started my course in September 2014 and am over half way through. They build you up with incremental doses up to 12 weeks then move to monthly injections over the course of 36 months. “I have been lucky enough to make friends with a fellow bee keeper whilst undergoing the treatment – we do lunch first then injections! “The treatment course is the easy part – the next challenge is of course convincing the wife that I will be safe! I have managed to find a bee suit specially designed for people like me, who need to avoid getting stung, and always carry an Epipen in my pocket in case of emergencies. My GP has been good and understands that I need four Epipen’s – one for each car, one for the house and one for my bee suit. “The good news is that, although I haven’t yet completed it, the course does seem to be working, I have had a few stings with no real effect. In fact with the injections, after two hours you could not even tell I had been stung. The New Forest is the perfect setting for keen cyclists, and enjoying the beautiful surroundings on a summer evening bike ride can be bliss. However, for Susan Massarweh (57), what started out as a leisurely bike ride could have ended in tragedy. Susan had been stung many times before and experienced a severe localised reaction years earlier but was unaware that she was at risk from venom anaphylaxis. These stings are likely to have set in motion the severe reaction that triggered Susan’s life threatening venom anaphylaxis years later. By the time the ambulance arrived Susan was falling in and out of consciousness – and paramedics quickly administered a lifesaving shot of adrenaline before taking Susan to hospital. Upon her release from hospital the next day, Susan was advised to see her GP, where she was prescribed an auto-injector adrenaline that she now needs to carry at all times. ALK is a research-driven global pharmaceutical company focusing on allergy prevention, diagnosis and treatment. ALK is a world leader in allergy immunotherapy — a treatment of the underlying cause of allergy. The company has approximately 1,800 employees with subsidiaries, production facilities and distributors worldwide. ALK has entered into partnership agreements with Merck, Tori, Abbott and bioCSL to commercialise sublingual allergy immunotherapy tablets in North America, Japan, Russia, Australia and New Zealand, respectively. The company is headquartered in Hørsholm, Denmark, and listed on NASDAQ Copenhagen. Find more information at www.alk.net/uk. You are now leaving this website. This link will take you to a website containing content that ALK cannot be held responsible for. You are solely responsible for your interactions with the website. ALK assumes no responsibility for the website or its content.